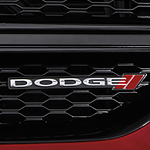 For Swedesboro drivers who are in the market for a family minivan that will keep them safe on the road, there are few options that can compete with the new Dodge Grand Caravan. This fabulous vehicle is packed from bumper to bumper with innovative safety features. Here at Spirit Chrysler Dodge & Jeep, we have been particularly impressed by the Grand Caravan's all-speed traction control system. If this handy tool notices one of the wheels slip or spin, it will automatically apply brake pressure to maintain the overall stability of the vehicle. At Spirit Chrysler Dodge & Jeep, our associates share a goal to help our customers understand what features come with our models. If you are looking for a light-duty pickup truck, we recommend the Ram 1500. The Ram 1500 is popular because it offers an abundance of features. Let's check out what capability features it has to offer. 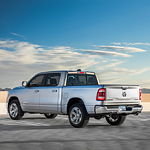 The Ram 1500 comes standard with the class-exclusive standard TorqueFlite eight-speed automatic transmission. This transmission uses innovative technology for optimal shift capability so that you get improved efficiency, drivability, and performance. With road conditions on the decline in many areas of the country, it’s great to know that the Mopar® Vehicle Protection Road Hazard Coverage plan exists to help drivers from all walks of life. Below are several compelling reasons to take advantage of this coverage if it’s available for your Chrysler vehicle. The plan pays for the repair or replacement of tires that are damaged as a result of potholes or any other road-related condition. 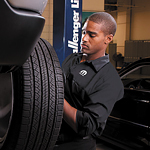 Additional services covered are mounting and balancing, repair or replacement of the tire pressure indicator and vehicle towing up to $100. 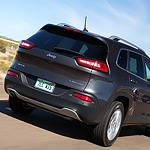 When you visit us at Spirit Chrysler Dodge & Jeep, you’re able to get a closer look at the Jeep Cherokee. The popular SUV has a few new exterior modifications, making it look sportier than ever. While it still looks like the reliable Cherokee it always has, there are a few bold statements made to the front end and the tailgate. The seven-slot grille has been given a refresh along with daytime running lamps and premium LED headlamps. As you spin around to the back, the Cherokee has the license plate centered in the middle of the liftgate. You are probably aware that the 2020 Jeep Gladiator is designed to do a lot of heavy lifting as well as take you to places where you can go on adventures. However, the intention did not stop with the towing and the payload. There are also a world of features that the interior of the vehicle has. The Jeep Wrangler is a popular member of the Jeep SUV line. This rugged 4x4 vehicle has the traditional versatility. It is designed to give excellent performance and traction on all terrains and road conditions. The exterior safety system provides monitoring of the blind spot; the vehicle can sense and warn of nearby vehicles that drivers cannot see. Swedesboro drivers know the importance of a solid frame in the event of a collision. The Jeep Wrangler has a front and side airbag system. The Jeep Grand Cherokee is beautifully designed from the wheels up. 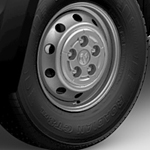 This popular SUV is available with a number of different wheel designs. We here at Spirit Chrysler Dodge & Jeep are very excited to show you some of your options. Wheel sizes range from 17 inches in diameter up to 20 inches. 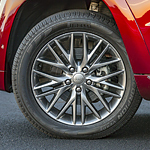 17-inch wheels are standard on the Laredo models. They're made of aluminum and feature a modern dual-spoke design. On the Limited models, 18-inch wheels are standard. These wheels are made of polished aluminum and have gray paint on the pockets for some added contrast. 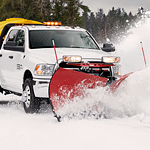 Which Ram 2500 Engine is for You? Ram could have given Ram 2500 drivers a single engine and they would have gobbled up these classic trucks like there was no tomorrow. Instead, they decided to give the world three different powertrain options to choose from. The 6.7L Cummins Turbo Diesel I6 is a proven and legendary option that offers 17,980-lbs. of maximum towing capacity. It's more than enough to haul anything up even the worst inclines in Swedesboro. You can't go wrong with a powertrain designed around this classic option. We at Spirit Chrysler Dodge & Jeep are happy to provide answers to your questions about the Ram ProMaster. The ProMaster is a popular cargo van for personal and business uses. Many people admire the ProMaster because of its durability features. If you are driving around Swedesboro, the airbag system and Electronic Stability Control are features you may not notice, but they are there when you need them the most. The ProMaster is equipped with an advanced airbag system. This will help you feel safe and comfortable transporting people with the van.